Long-term financial security is an increasing concern for Hong Kong employees and this can have a negative impact on workplace engagement, according to findings from the latest Willis Towers Watson’s Global Benefits Attitudes Survey. The good news is that employers can play a key role to lessen the burden. The survey, which examines the role of benefits in defining and differentiating today’s employee value proposition, shows that around 38% of employees in Hong Kong feel that financial concerns have become a more important issue over the last two to three years, and that more than half are not satisfied with their current financial situation. Indeed a good amount of this dissatisfaction and stress are rooted in worries about financial sustainability and life after retirement. This is understandable when the figures also reveal that employees have little faith in the sustainability of government benefits. 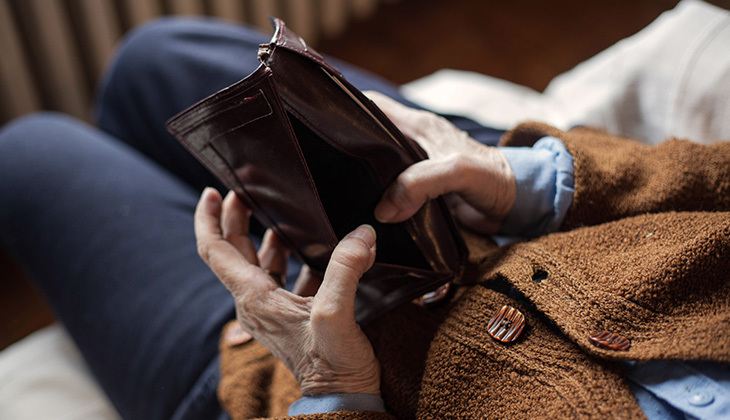 The study shows that 35% of Hong Kong employees think social security and medical benefits provided by the government will be worse when they retire. 40% think that their generation is likely to be much worse off in retirement than their parents’ generation. The general sentiment among Hong Kong employees is that they cannot rely on the government for their lives after retirement. Females (41%) are more concerned about their financial future than males (27%), and millennials (42%) are more financially worried about their future than Gen X (29%). Those with a monthly salary of less than HK$16,000 are most worried about their long-term financial state compared to other salary groups, and they make up 44% of the respondents. Moreover, only 35% of Hong Kong employees are confident to retire in 25 years, significantly less than those in other developed economies (43%). Given all these, 20% of Hong Kong respondents say that financial problems are negatively impacting their lives. While Hong Kong seems to fare better than other developed countries, saving for retirement is becoming a top financial priority for those over 40 years old and general costs and general saving are more important for younger employees. The key takeaway of the study is that Hong Kong employees are mature and are in a positive financial state to discuss retirement planning, and this is where the employers can and should step in. Encouragingly, the latest Asia Pacific Benefit Trends Survey found that employers are aware that financial well-being has a significant impact on employee effectiveness and engagement levels. 49% of employers intend to take an active role in encouraging employees to better manage their personal finances. Employers are aware that financial issues are common in the workforce and report that 1 in 10 employees have expressed concerns. In response, employers are increasing provision of their retirement benefits and financial well-being programmes. So how can employers lessen the future financial burdens of their employees? Employers can utilise a three-pronged approach to establish a plan to help their employees. Firstly, employers should measure and evaluate the extent of financial worries in the workforce and understand how employees make and prioritise their financial decisions. Reviewing the existing MPF retirement scheme to see if it caters to employees’ needs would be key. Secondly, employers should connect with employees and provide solutions that match employees’ priorities. Employers can strengthen communication and education programmes on how MPF can help employees to achieve their retirement goals, what type of MPF funds are suitable for their needs, and provide regular updates on fund managers’ latest investment performance and strategy. And lastly, employers should use tools and mobile apps to help employees to perform financial projection and planning and provide support in real-time decision making. Employers can ultimately increase employees’ performance and productivity in the workplace by helping to lessen their financial worries. This article was written for the 2018 Spring edition of Connect, the official journal of the Employers' Federation of Hong Kong (EFHK). Elaine Hwang is the director of retirement for Willis Towers Watson in Hong Kong.